PLEASE NOTE THIS GARDEN GOAL PRODUCT MAY BE SUPPLIED WITH AN ORANGE NET OF THE SAME TWINE QUALITY. 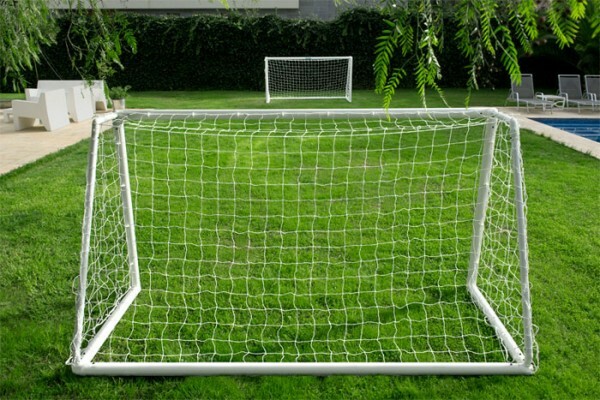 The perfect Garden Goal size for older children, however this football goal is strong enough for adult use. Ideal for using in the garden or taking to the park, beach, to have lots of endless fun.A two section crossbar and back bar allows the goal to pack in a bag after use (available separately) . The Garden Goal is quick and easy to use, install and dismantle. The goalpost sections are manufactured in 68mm high impact UV stabilized environmentally friendly uPVC tube that slot and lock onto strengthened corner brackets. The ‘push & lock’ system requires no nuts and bolts and neat patented arrowhead net fixings unique to these goals ensure no unsightly nets are pulled around the front of the posts. Goal nets last much longer and do not fray, like other uPVC Garden Goal post nets that are wrapped around and under the posts on the ground. 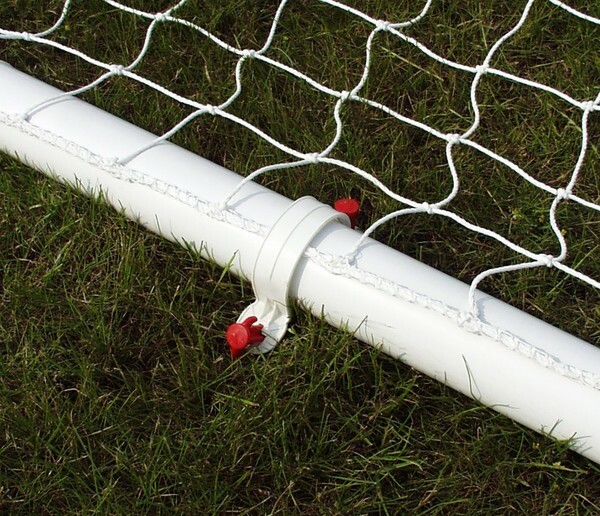 Net support stanchions securely lock into posts, not just pushed into a hole like all other uPVC Far East and Samba Goals which is why they are stronger and sturdier. 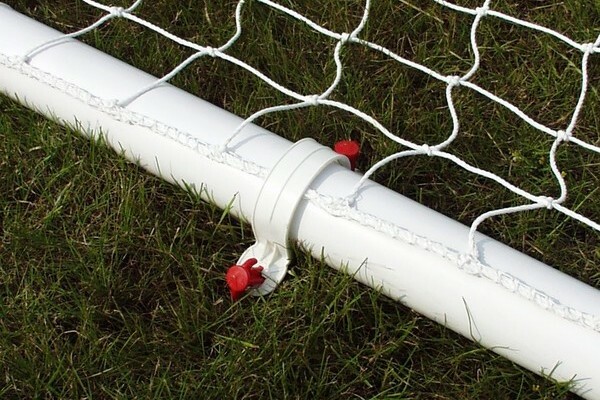 The ground base includes ground frame net fixings which protects your netting. Length of goalpost run back 153 cm. A cost effective and quality alternative to Far East imports flooding the market, which more often than not end up in land fill sites. In contrast, with full spare parts and replacement nets our goals can last a soccer lifetime. 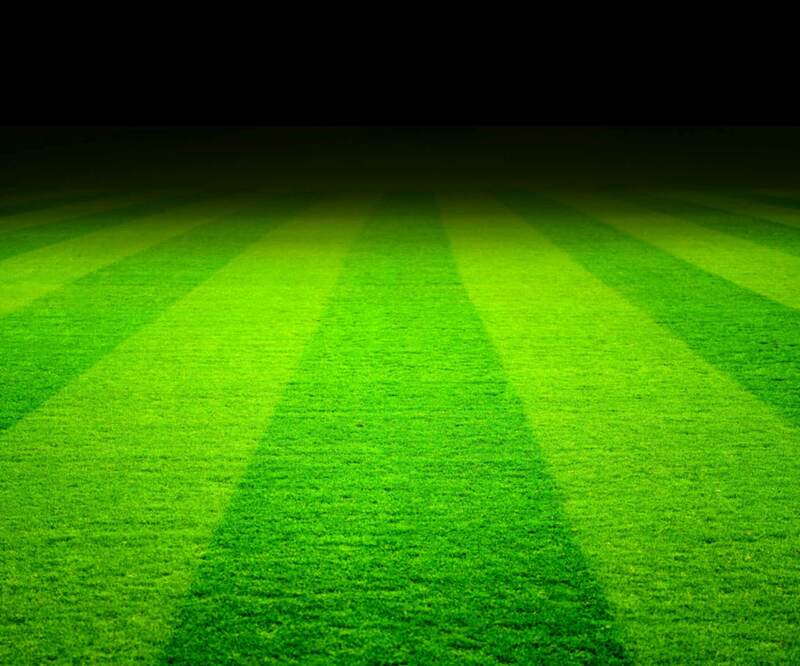 They may never score a winning goal at Wembley…..but you can give them the dream! *Please note this goal may come with an orange or white net depending on stock availability at time of ordering.